AS USUAL, IT was a blast Thursday at One's open mic night. Here's a clip of me, Sam and Savana playing "Jolene." This was the first time we've ever done it together. The day before they said, "We are going to play this at open mic night and you are going to play it with us." Who am I to disagree? I love the energy. It isn't perfect and sure, we could practice it and hone it and get it down to a cold science, but I like the way it turned out. Much love to Rock A Bye Johnny B and Will Leffert, Liz Bentley (we did Coldplay's Fix You and she made the hair on my arms stand up) and Korey Haner. And to Steve Rees for keeping the circus under control. Randi didn't miss a note! 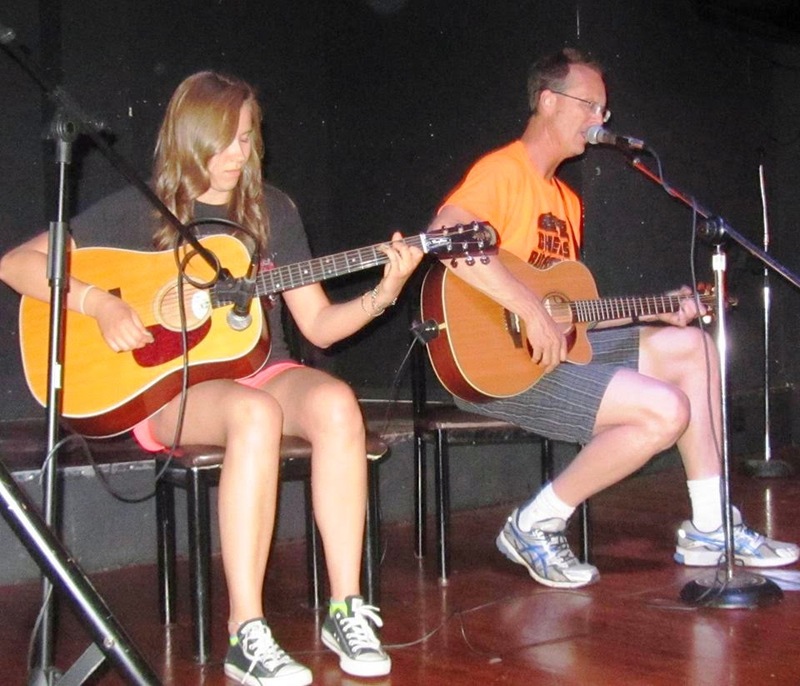 The best part of the night for me was joining my guitar student, Randi Rost, and playing "Wish You Were Here" by Pink Floyd. This was the first time she's ever played in front of people and she was terrified. But her family showed up to cheer her on and she was flawless ... I stopped playing and let her carry the guitar part at the end because I was just screwing it up. I feel like a proud papa when I see my students get the courage to do something they have never done before. It's a beautiful thing, this music stuff!